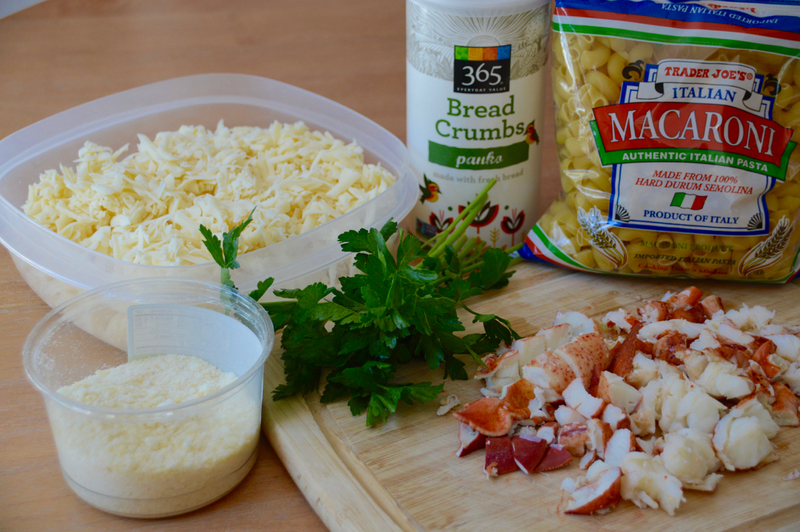 Living in New England, on Cape Cod nonetheless, means that lobster is a quintessential part of living here. It's hard to believe that the pilgrims fed lobster meat to their pigs, and never thought of it as a delicacy. It may have gotten them through their first winter here on Cape Cod, but it was never considered something deliciously important to them. I bet they'd be shocked if they knew that lobster meat in some areas of the country cost between $65-75 a pound! 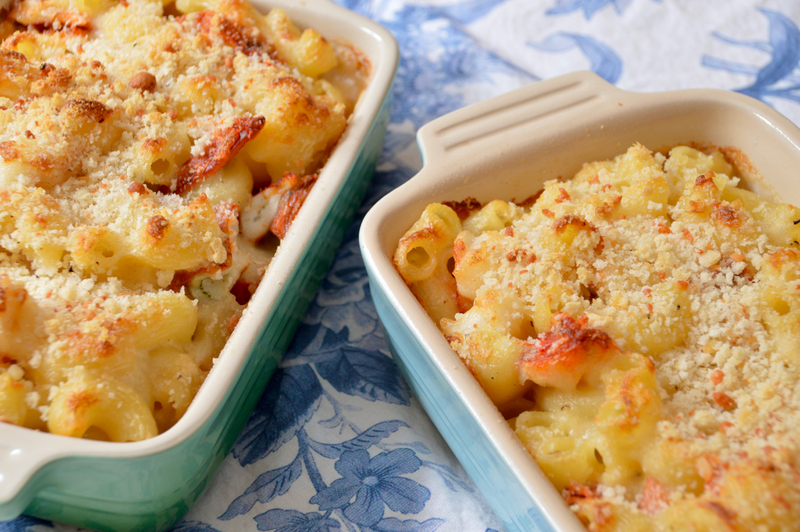 This lobster mac and cheese is out of this world ya'll. The creamy, cheesy, buttery, crispy and tender textures of this dish combined should be illegal. The ingredients are simple. 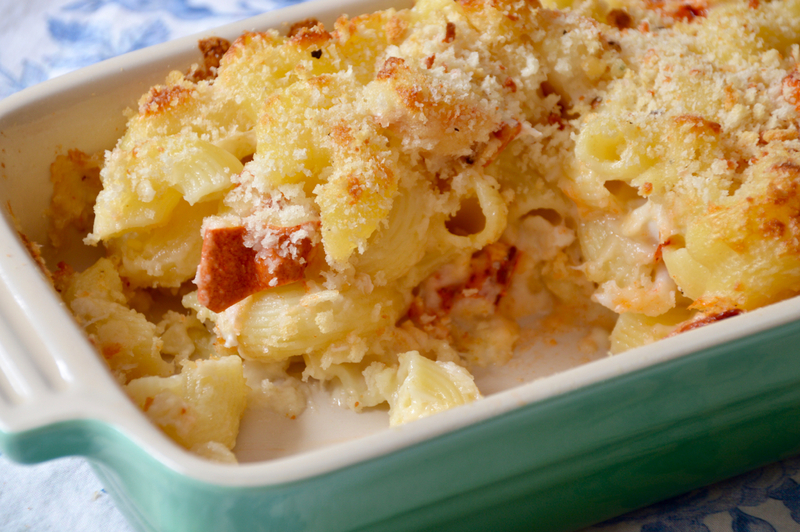 I like to use Trader Joes Gruyere & Cheddar cheese, that has all the goodness of both cheeses in one. Grating your own cheese rather than buying pre-shredded cheese is always going to give you a smoother, creamier, better melt, so I highly recommend grating your own. 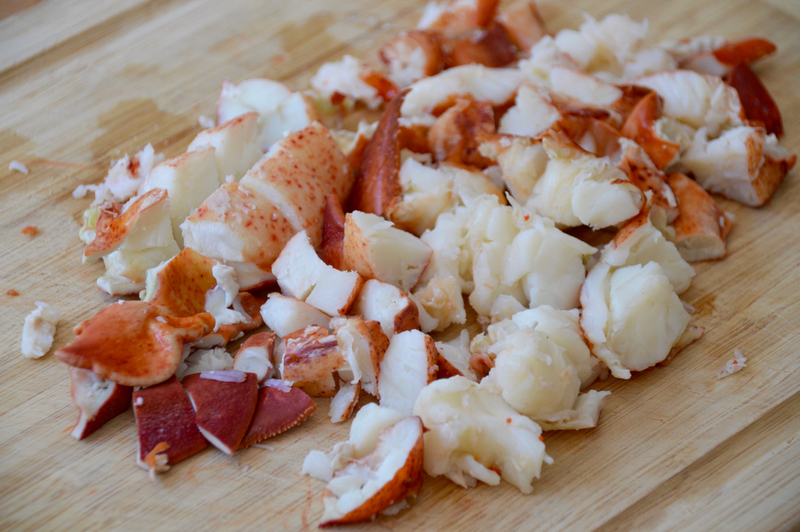 We start with lobster meat, boiled and pulled from it's shell, then chopped into bite size pieces. 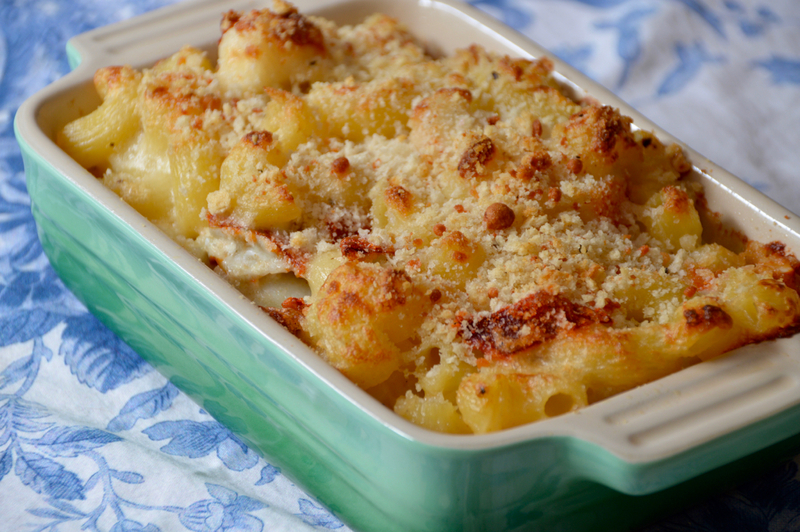 Next, we toss it with elbows and the cheese sauce, then bake it with a crispy layer of panko breadcrumbs, mixed with salt, pepper and parmesan cheese. 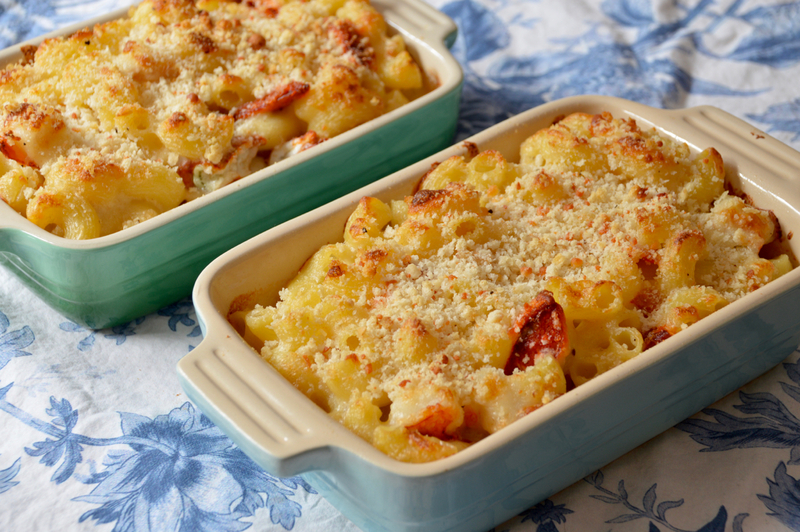 This is just your friendly reminder that creating a dish like this isn't time consuming or requires a ton of ingredients, so go ahead and treat yourself to a Monday night lobster mac and cheese dinner (meatless Monday anyone?). The cheese sauce is lighter, there's no cream, just a little butter and skim milk, so you can start your week off with a bang. 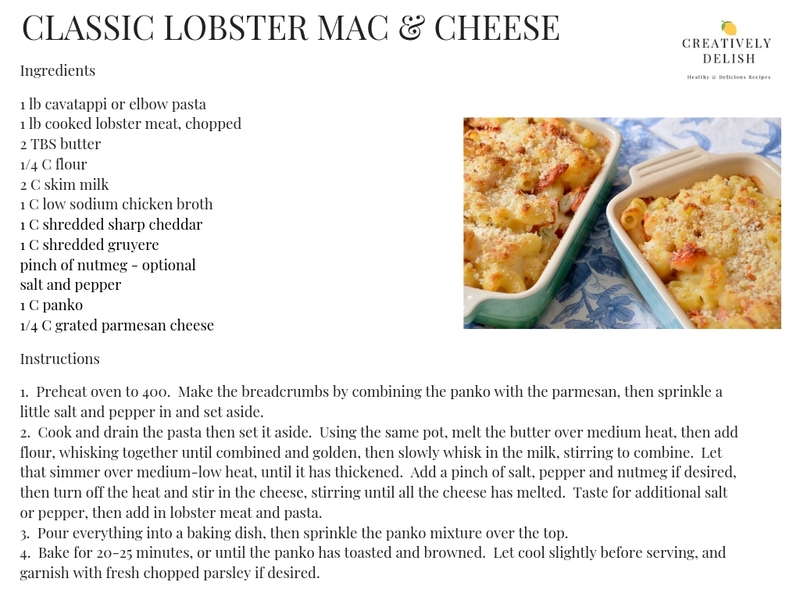 Check out the recipe below or click here to print. This is intended to serve four people and take about 1 hour to make. Enjoy!